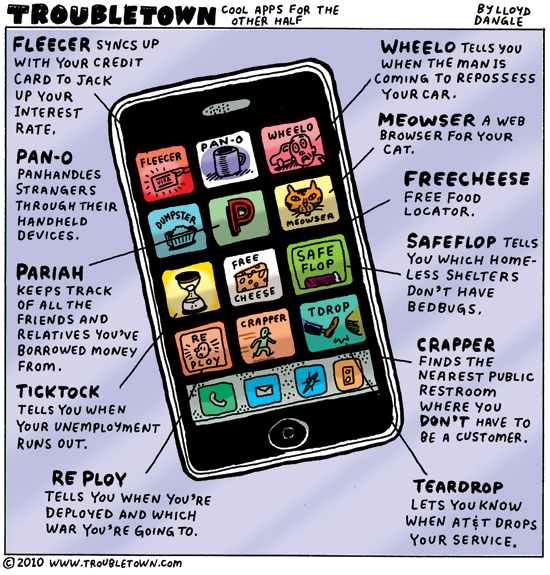 No doubt you know all about this and other Facebook data scrapes and breaches by now but this cartoon explanation, by Eleri Harris and Andy Warner at The Nib is a useful explainer. Note: I had an early Facebook account but dumped it after a year as I didn’t particularly like the Facebook design and found it less than useful. When Facebook bought Instagram I dumped that too. To me, there’s something questionable about social tools that attempt to pull people in by appealing to their desire to become more popular. Yes, I realize that Facebook and Instagram are more than that, but these (popularity) tools are deeply engrained in their designs. What people will do to become and remain popular is bothersome to me. Flickr does this and I ranted about it a number of years ago: Flickr Explore. Of course, WordPress (this site) does this as well… Sigh. Katy Doughty has put together a great comic history of the color red. Brilliant. This is a brilliant bio-comic on cartooning with Parkinson’s disease by Peter Dunlap-Shohl. Can We Talk About Something More Pleasant? 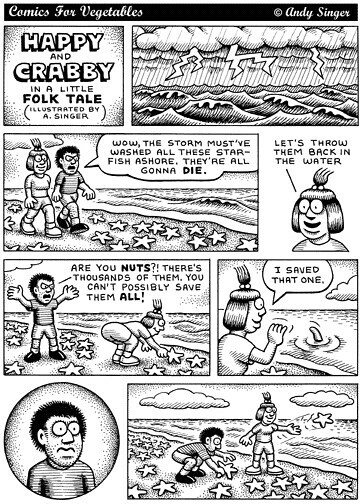 The New Yorker has an excerpt of a new autobiographical graphic memoir by illustrator/cartoonist Roz Chast in the March 10, 2014 edition. It’s about her experience with aging parents, something Anne and I are going through right now. It’s full of humor and insight and compassion and its brilliant. Here’s the book at Amazon (I pre-ordered it, it’s coming out in May): Can’t We Talk about Something More Pleasant? : A Memoir. This story is not unlike pieces of the award-winning graphic novel Maus: A Survivor’s Tale by Art Spiegelman which is a classic. Drag the media player slider to 29 minutes, Blitt is on the second half of the show. Here’s Barry Blitt’s web site. Click on “What-not” for a collection of his New Yorker covers including all the covers mentioned in the interview. Fantastic stuff. I love his work and it was nice to hear that he works exclusively in pen and ink and not Photoshop. How to get through a tough problem? Get started. 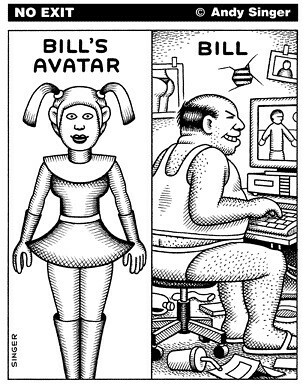 This is an old Andy Singer illustration that seemed useful to post in these times of great frustration and cynicism. One of my favorite political cartoonists Lloyd Dangle is on flickr. Here’s his iPhone app collection. Which (art) student are you? Chuck Dillon has done a great set of drawings depicting the various categories of art student he sees at the Hussian School of Art in Philadelphia. In my day there weren’t this many sub-species (that I know of). But, each school attracts different breeds.